The Optigrow® Vitaliser 90 is in many respects a true milestone innovation. The vitalization is performed in standardised 90 litres (20 kilos) processing units controlled by a unit for control and data processing – Tech 90®. The entire system is called Optigrow Vitalizer 90®. The modular structure of the process section allows a gradual expansion of the capacity. Each Tech 90® unit can support up to four 90 litres processing units, but equipment systems with much larger capacity are under construction. The 90 litres processing units can also be adjusted into sections dimensioned for smaller volumes of seeds. Within short, we will also be able to offer equipment with an expanded capacity span. Documentation from vitalizing a great variety of seeds is stored and held available by Nelson Seed Development in Sweden. This way, seed suppliers can together with their own unique, stored vitalization data be offered the code for optimal tuning of the process online – regardless of species, variety or geographical origin of the seed. The equipment is manufactured by Seed Processing Holland – global leader in seed processing equipment. They are the retail dealer for Optigrow Vitalizer 90® and will also provide service & maintenance globally. The Optigrow Vitalizer 90® is in many respects a true milestone innovation. It accommodates an ecological and fully automated seed priming process that for most species can be finished within 1 – 3 days. Thanks to its moderate space requirements and only use of water and air, Optigrow Vitalizer® can be installed easily in most production facilities. Since the process is fully automated and includes drying, the cost transports and manual labour can be kept close to the zero level. Operation is simple and requires no specialised skills. Since the process is fully automated and drying included, the entire enhancement session is reduced to an uncomplicated “seed in – seed out” process –ready within 1 – 3 days for most species. The ultimate benefit of automation – reduced labour cost – is taken to a new level. If needed, the seed technology experts at Nelson Seed Development can supervise, control and evaluate the vitalization sessions of the clients via an online remote function. By long and high experience, accumulating data from a great number of vitalization sessions, they can provide an optimised protocol online – no matter the species or variety. Vitalization has drying included in the fully automated process – fact of tremendous importance to seed providers that used to have their seeds removed from the treatment line for drying at a separate station. By carrying out the seed enhancement entirely within their own premises, producers eliminate the transport costs derived from seed preparation. In some cases the reduction for transport and manual handling will turn out no less than spectacular. The fact that the process for most species can be completed within 1 – 3 days also facilitates the planning of the delivery routes. The vitalization process is generated by a finely tuned interaction of air and water. No chemicals are used. Since vitalization is fully ecological, vitalized seed has a very promising potential on the emerging market for ecological products. In seeds used for commercial foodstuff production, this is a substantial benefit. 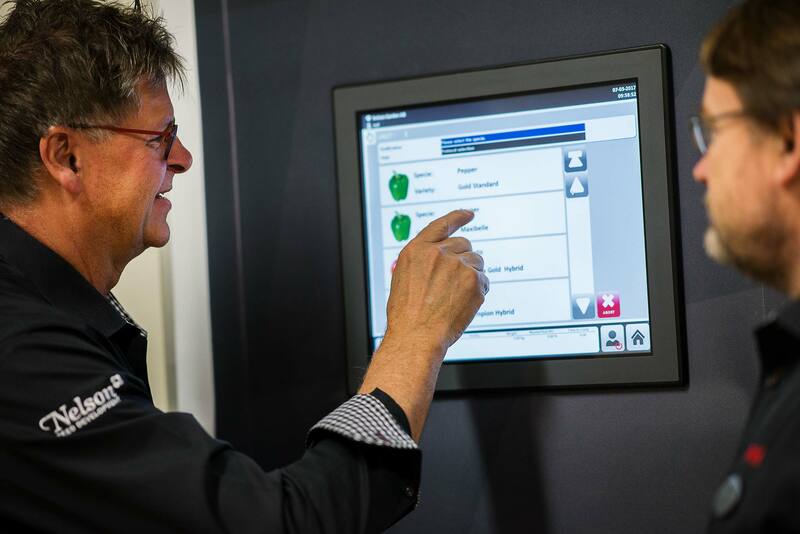 The Optigrow equipment is manufactured by Seed Processing Holland – a global leader within seed processing equipment. They will also handle the retail dealership and provide service and maintenance globally. The seed producers´ right to use the Optigrow Vitalizer 90® equipment for seed vitalization within their own premises is based on a license system where conditions can be tailored to meet the actual needs. Producers are allowed to brand their vitalized seeds Optigrow®. This hallmark of quality and well-defined properties (e.g. first-rate storability of primed seeds) give license holders a valuable competitive advantage. Please contact us for a hands-on demonstration of the features offered by the new Optigrow Vitalizer 90® technology. We promise you a fascinating tour through the future landscape of the seed industry.